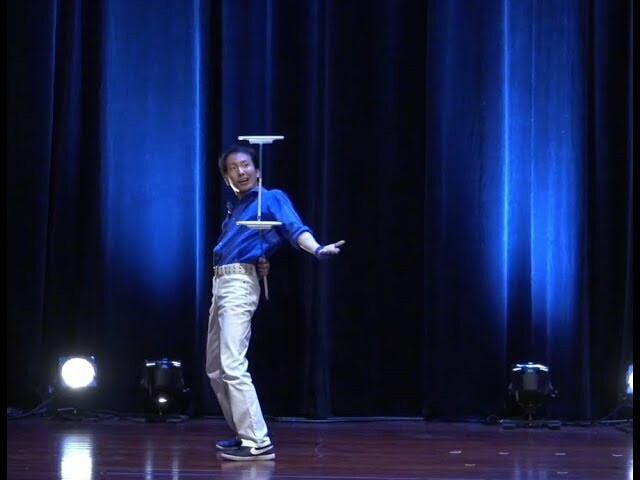 He has a unique style, which is now forming the basis of a new genre of juggling. With INNE, Masa will show you a whole new world of plate spinning. Send a message to Masa! The short, slitly thick stick lets you deal with plates accurately andis easy to toss. INNE, a stable and long-spinning plate, enables you to perform different types of tricks, such as body rolls, turnovers, grinds, balances and tosses. 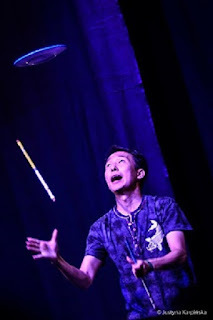 INNE and sticks are available form PM Juggling. Send a message to Masa to book him! ©皿回しジャグラーまさやん since 2008. Powered by Blogger.